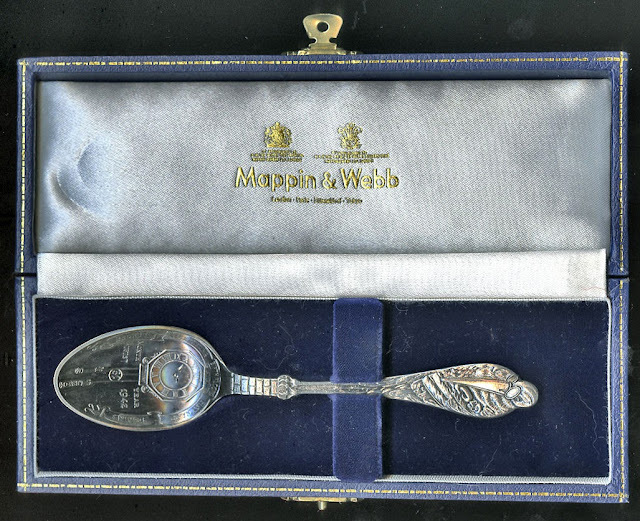 My birth spoon given to me by my Aunt Inez. It was 11:30 on the evening of August 29. My wife and her cat Cas-Casi were asleep. I had noticed rapid flickers and looked out of the window which faces north. My cat Plata had also noticed. We both watched the electrical storm that unleashed its thunder and then a torrent of rain and wind by the time it had become August 30th. As things go with Argentines that date and days before or after have lots of significance. In 1586 Isabel Flores y de Oliva was born in Lima, Peru. Her father Gaspar Flores was a harquebusier in the Imperial Spanish Army. I like to mention her father so I can then inform you that a harquebus was an early musket, a single shot that was so heavy that it had to be mounted on what I would no call a monopod. In fact the three musketeers (and that fourth one) may have not only been great swordsmen but also handy with their muskets. Isabel Flores was nickname early one Rosa because on of her family servants swore that her face once transformed into that of a bright red rose. For our purposes all we need to know is that Rosa died August 24, 1617. She was canonized by Pope Clement X. St. Rose of Lima was the first Americas born saint. At around the last days of August Buenos Aires experiences a nasty storm called la Tormenta de Santa Rosa. August 30th is her feast day. That storm had a noted significance in my life as my mother insisted in celebrating my birthday, August 31st with a garden party (piñatas, three-legged races, pinning the tail on the donkey, etc). My birthdays suffered a constant re-scheduling because of the blessed saint’s storm. I can inform you that as I write this (September 1) it is unseasonably hot in Buenos Aires but there is no sign of relief and the storm may have skipped 2013. I would like to think that the storm did occur and that it did so here in Vancouver. I am perplexed in wondering if that electrical storm is a foreboding or simply an omen of good things to come. Shooting Under Stress & Who's The Boss?